Even the most cared-for laptop can one day be in need of spill repair. A bottle of water, glass of milk, even your favorite latte can find its way in to the internals of your computer from an inadvertent elbow. We have even seen laptops with a few washes-worth of shampoo packed inside! It may not even be obvious as to how the damage occurred, such as having a laptop in the same bag as a cold water bottle that drips condensate in to it. 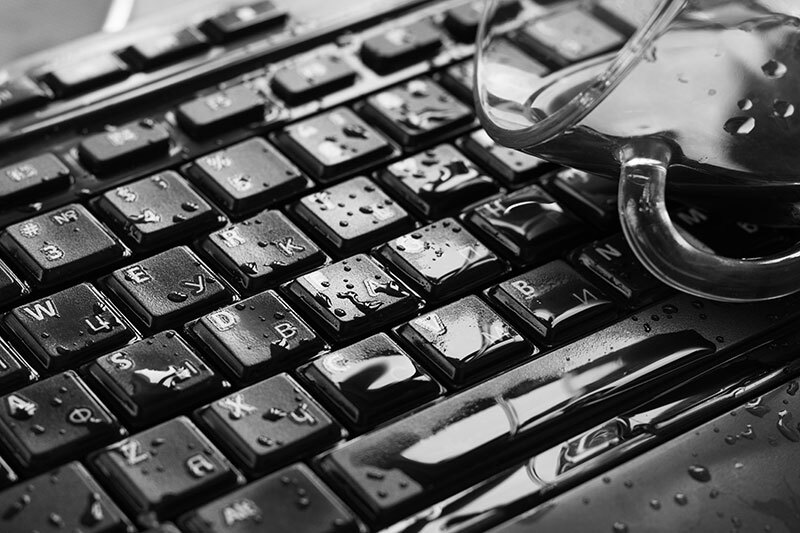 Whatever the cause, we can help determine the extent of the spill and find the best repair option for your computer, or focus on trying to save your important files from the system. A primary concern is after a spill happens, do not attempt to turn on your system, and if it is on, power it off immediately and remove the battery if possible. This is to avoid further damage from any standing liquid inside the computer. Give us a call or come by and we can take it apart, dry it and test it from there.